Her music brings about an understanding that if she sees birds flying they are not only flying but in a shape. That’s how she mastered her album, “Isingqi.” There’s one foremost building block I have picked up when it comes to good music that you don’t have to listen over and over to understand, and that’s quality. She’s one of the artists that managed to stand up last year and of course you are wondering, who’s this so wonderful artist I am talking about, well, it’s Noxolo. 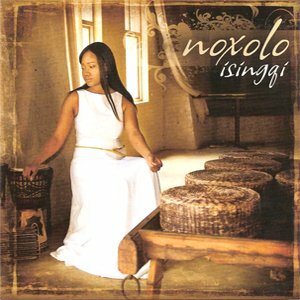 Her album is so peaceful to such an extent that it agrees to her name, Noxolo someone who maintains peace. The album opens with a wonderful song, “Amazotsho” of which I would safely say she’s “Mamzotsho” by clan name. So right at the very beginning of the album you get hooked instantly and you just repeat the album because it’s lovely and provides you with TOP listening pleasure; not because you’re struggling to understand it. “Isingqi” is a very well composed song and it clearly deserves the spot of being the title of the album. It is a very traditional-jazzy song whereby she sings about a journey she travelled looking for African music – home brewed kind of music with African dance, and she never found any music that can give you a great listening pleasure compared to African music. Before I dwell much on the 12 track album allow me to say this, in her album she does not try to be anyone else but herself. She takes you places and reminds you of humanity as an African. Her project is beautiful and peaceful, a down to earth album that brings happiness to any soul. 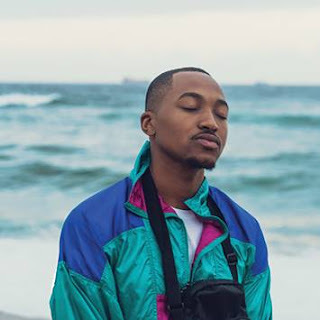 “Uthando,” here the artist tries to understand what is love and where does it come from? Who knows about it? She sings that love is written in Mountains and everyone knows about it, she further sings that love does not discriminate anyone and she knows love too. I love the nourishing jazziness sounds of the track, so breathtaking that you don’t want to enjoy any bad music further. “Tell me sweetie that I am the most beautiful girl…” a quote from the song “Tell me”. Here she seeks assurance from her love one or might relate to your loved ones whereby you want them to make you comprehend that you’re the only one. The song is so well relaxed and a must listen to kind of a no fast-forward but rewind track. Let me not give it away the album goes on to beautifully composed songs up to track 12, “Because you are.” It is available in STORES NATION-WIDE so go grab you a copy.